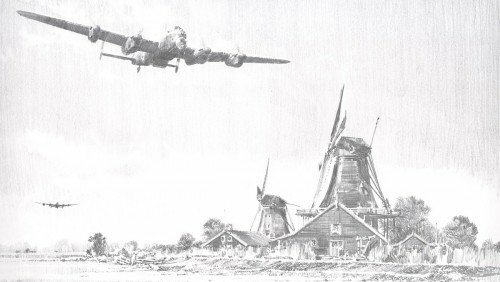 Each print is accompanied by a matching numbered copy of the fascinating book, We Will Remember Them, written with Guy Gibson's widow, Eve Gibson, and the portfolio includes the original signatures of Dambuster veterans. 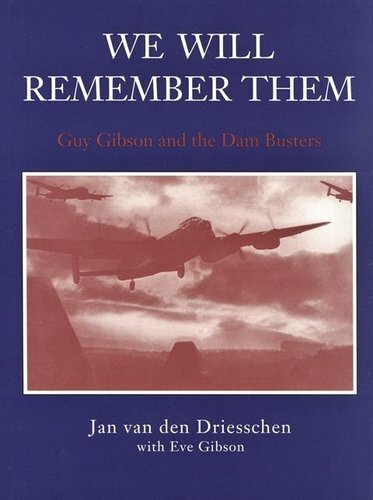 THE MATCHING NUMBERED BOOK – "WE WILL REMEMBER THEM"
This unique insight into the life of Guy Gibson – the leader of the Dambusters Raid – is written by the man who devoted himself to tend Gibson’s grave and final resting place in Holland. Compiled with Gibson’s widow, Eve Gibson, this fascinating book is packed with photographs, diagrams and illustrations telling the story of Operation Chastise as never before. A Ground Crew Fitter who installed the special modifications to the Lancasters for the raid. THE MATTED REMARQUE EDITIONS There are few better ways to acquire Robert's original work than his exquisite pencil remarques. Each remarque drawing will be individually created on a separate sheet of paper and set into the conservation matting.